 The board of directors of the TRU Students’ Union is made up of nineteen representatives selected in an election each year. These representatives each serve a one-year term from May 1st to April 30th. There are five executive members, six constituency representatives, and eight committee representatives. These representatives are responsible for overseeing the Students’ Union and its operations. They make decisions on behalf of the entire membership and manage the organisation in between annual general meetings. The Vice President External’s primary responsibility is chairing, overseeing, and reporting on the work of the Campaigns Committee. The Vice-President External can expect to work with the Campaigns Coordinator to provide leadership for a team of students to plan weekly committee meetings, respond to media requests, and engage in extensive campus outreach. The Campaigns Committee is responsible for planning and implementing the campaigns and government relations of the Students’ Union at the municipal, provincial, and federal levels. This has included campaigns to improve government funding to TRU, improve transit service, and lobby to create a need-based grants system. They also serve as the provincial executive representative to theBC Federation of Students. The Campaigns Committee Representative’s primary responsibility is to assist the Campaigns Committee with the implementation of its work. During their term this will include attending weekly meetings, contributing to planning, and participating in extensive campus outreach on issues the committee is addressing. The Campaigns Committee is responsible for planning and implementing the campaigns and government relations of the Students’ Union at the municipal, provincial, and federal levels. In the past this has included campaigns to improve provincial government funding to TRU, improve transit service for students, and lobby to create a provincial need-based grants system. The Vice President Internal’s primary responsibility is chairing, overseeing, and reporting on the work of the Entertainment Committee. During their term the Vice-President Internal can expect to work with the Entertainment Coordinator staff person to provide leadership for a team of students to plan weekly committee meetings, respond to media requests, and engage in extensive campus outreach throughout the fall and winter semesters. The Entertainment Committee is responsible for planning and implementing all of the entertainment that the Students’ Union offers. This includes the Back to School BBQ, the Common Voices annual lecture series, the Last Class Bash, and other events throughout the year. The Entertainment Committee Representative’s primary responsibility is to assist the Entertainment Committee with the implementation of its work. During their term this will include attending weekly meetings, contributing to planning, and participating in extensive campus outreach on issues the committee is addressing. The Entertainment Committee is responsible for planning and implementing all of the entertainment that the Students’ Union offers. This includes the Back to School BBQ, the Common Voices annual lecture series, the Last Class Bash, and other events throughout the year. The Vice President Equity’s primary responsibility is chairing, overseeing, and reporting on the work of the Equity Committee. During their term the Vice-President Equity can expect to work with the Equity Coordinator to provide leadership for a team of students to plan weekly committee meetings, respond to media requests, and engage in extensive campus outreach throughout the fall and winter semesters. The Equity Committee is responsible for planning and implementing the equity based events and campaigns that the Students’ Union organizes. This includes events to end systems and structures of oppression that are faced by Indigenous peoples, the LGBTQ community, women, and visible minorities, in addition to other equity issues. The Lesbian, Gay, Bisexual, Trans*, and Queer (LGBTQ) Students’ Representative ensures that the valuable perspectives and interests of the LGBTQ community are represented in the Board of Directors. They are a member of the Equity Committee and are responsible for planning and implementing equity initiatives to end systems and structures of oppression that are faced by Indigenous peoples, the LGBTQ+ community, women, and visible minorities. The Visible Minorities Students’ Representative ensures that the valuable perspectives and interests of visible minorities are represented in the Board of Directors. They are a member of the Equity Committee and are responsible for planning and implementing equity initiatives to end systems and structures of oppression that are faced by Indigenous peoples, the LGBTQ+ community, women, and visible minorities. The Women’s Representative ensures that the valuable perspectives and interests of women are represented in the Board of Directors. They are a member of the Equity Committee and are responsible for planning and implementing equity initiatives to end systems and structures of oppression that are faced by Indigenous peoples, the LGBTQ+ community, women, and visible minorities. The Vice President Services’ primary responsibility is chairing, overseeing, and reporting on the work of the Services Committee. During their term the Vice-President Services can expect to work with the Services Coordinator to provide leadership for a team of students to plan weekly committee meetings, respond to media requests, and engage in extensive campus outreach throughout the fall and winter semesters. The Services Committee is responsible for planning and implementing all of the services that the Students’ Union offers. This includes management and promotion of existing services such as the Health and Dental Plan and the UPASS, as well and development, implementation, and promotion of new services. The Services Committee Representative’s primary responsibility is to assist the Services Committee with the implementation of its work. During their term this will include attending weekly meetings, contributing to planning, and participating in extensive campus outreach on issues the committee is addressing. The Services Committee is responsible for planning and implementing all of the services that the Students’ Union offers. This includes management and promotion of existing services such as the Health and Dental Plan and the UPASS, as well and development, implementation, and promotion of new services. The President’s primary responsibility is chairing, overseeing, and reporting on the work of the Student Caucus. During their term the President will be working with the University Governance Coordinator staff person to provide leadership for a team of students to plan weekly committee meetings, respond to media requests, and engage in extensive campus outreach throughout the fall and winter semesters. The Student Caucus recruits and resources student representatives on TRU committees, and plans and implements campaigns seeking changes in the university. In the past this has included campaigns on food service, parking, and open copyright textbooks. In addition, the President chairs board meetings and serves as the staff relations officer for the organization. The University Affairs Committee Representative’s primary responsibility is to assist theUniversity Affairs Community with the implementation of its work. During their term this will include attending weekly meetings, contributing to planning, and participating in extensive campus outreach on issues the committee is addressing. The University Affairs Committee provides leadership to the Student Caucus in recruiting and resourcing student representatives on TRU committees, and in planning and implementing campaigns seeking changes in the university. In the past this has included campaigns on food service, parking, and open copyright textbooks.